If you know that winter is coming, that the night is dark and full of terrors and that Jon Snow knows nothing (but he’s awesome anyway), then these are the Etsy finds you need in your life. 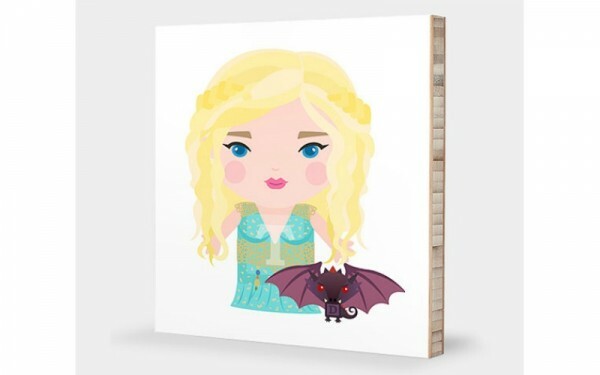 Whether you are hosting a Game of Thrones themed party or simply want to bring a little bit of Westeros into your world, here is what you need for your children’s (and for your own personal) enjoyment. 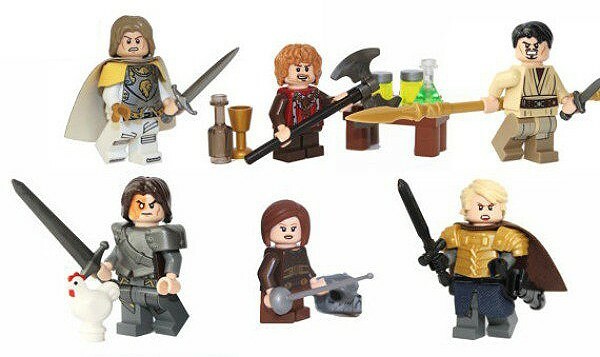 Combine your child’s love of Lego with your love of Jon Snow with these amazing mini-figures from Demon Hunter Bricks including Jon Snow, Daenerys Targaryen, Brienne of Tarth, Jaime Lannister, Arya Stark, Prince Oberyn, Tyrion Lannister and The Hound. 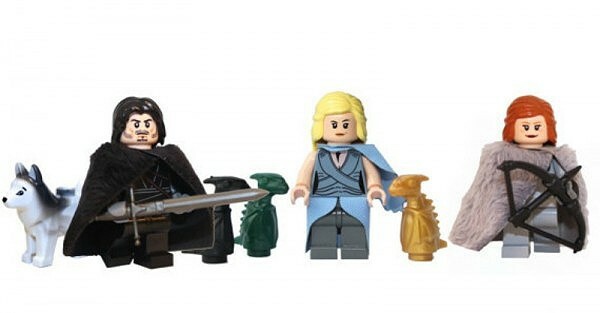 The accessories that come with these characters are classic, including a wine glass for Tyrion and three mini dragons for Daenerys. You can get a three-pack for $64 or all nine characters for $148. 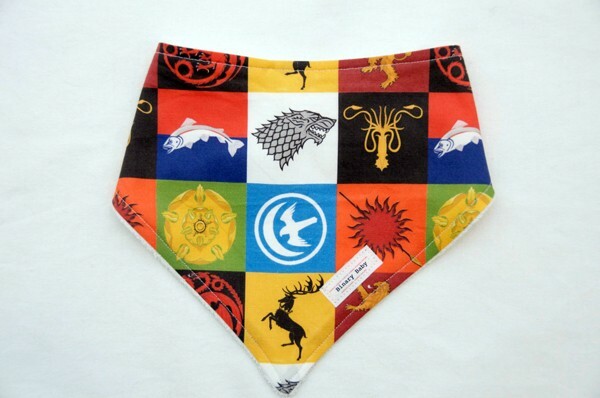 For the littlest wildings, check out this adorable bib featuring all the House logos from Binary Baby ($9.70). While your little one is enjoying a meal, you can also teach him all about the different families in Game of Thrones. It’s kind of like learning your ABCs…but better. Speaking of teaching your little ones their ABCs, why not test out their talents with this Game of Thrones wall art from Tofufu Studio ($29)? It only comes in three options (D is for Daenerys, K is for Khaleesi or T is for Targaryen), but, hey, at least it’s a start to the alphabet. 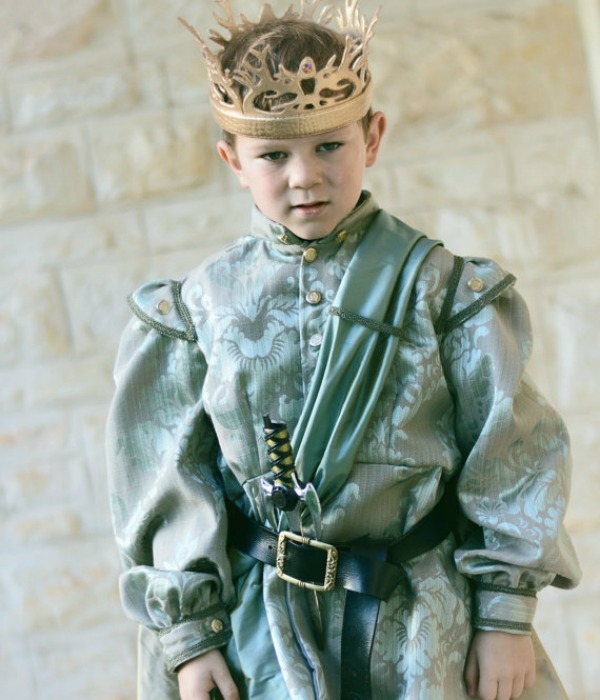 He may be the worst king in the entire history of television, but you have to admit that this King Joffrey costume is pretty adorable. And you can always pretend it’s Tommen instead. The ensemble, which includes a hand carved crown, a fully-lined jacket, cape, sash and belt will set you back $313 and is available from Design Stitch Wardrobe. For Games of Thrones parents who love their children as much as Daenerys loves her dragons, this is the Games of Thrones onesie for your sweet bub! 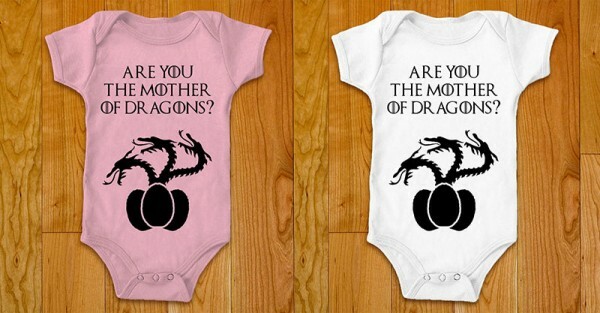 At $25, it’s available in sizes 3 to 12 months and in several colours, from Geeks & Dragons. 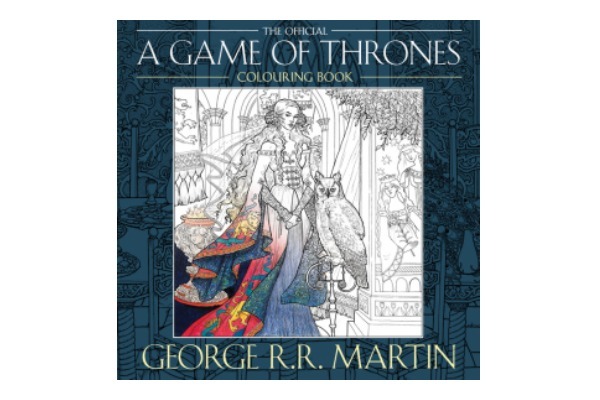 Enjoy a classic evening of colouring-in with the children with this Game of Thrones inspired colouring book. Just make sure you have several red pencil crayons… you are probably going to need them. 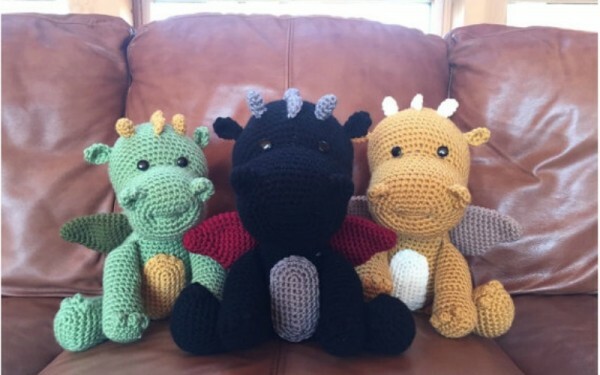 What child wouldn’t want to play with their own set of three dragons? These are available from Addys Hat and all three will set you back $100. For older kids, teach them the rules of chess from Zules World for $93. 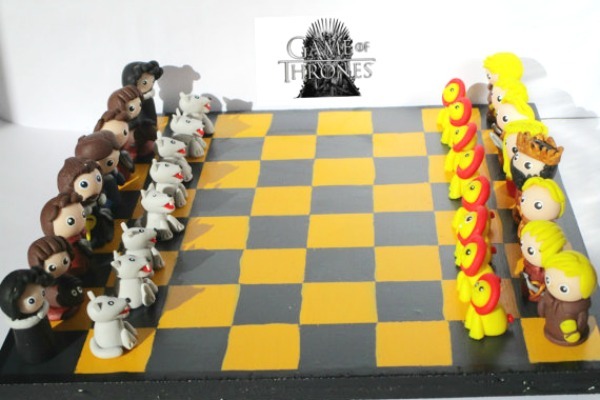 It’s the Starks versus the Lannisters (lions for their House symbol) in the Game of Chess. Let’s end with a classic game that we probably all played but no one actually remembers the name of, redesigned to reflect Game of Thrones. 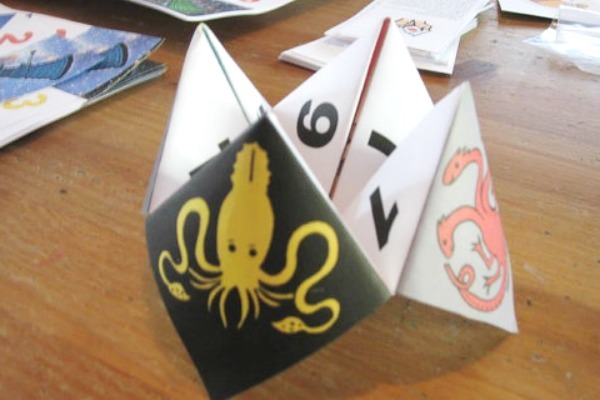 Apparently, that game where you have a piece of paper with numbers and colours on it that can determine your future is called a Cootie Catcher and Dragon and Crow have created a GoT themed one that is equal parts clever and crazy. But, for $4, it’s certainly worth it. If you share our passion for Game of Thrones, then you will probably appreciate our Game of Thrones parenting recaps as well as our feature on what we all can learn from the Game of Thrones.